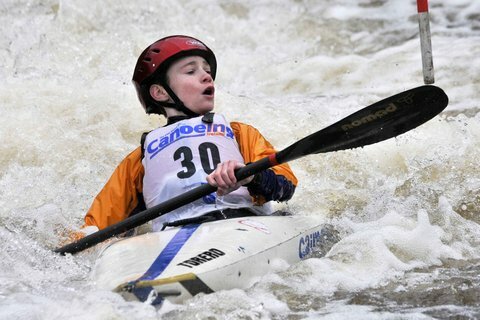 Please click on the link below to open the Canoeing Ireland weekly news roundup. Happy Kayaking wherever you are! Good Luck to all the Irish paddlers racing this weekend. 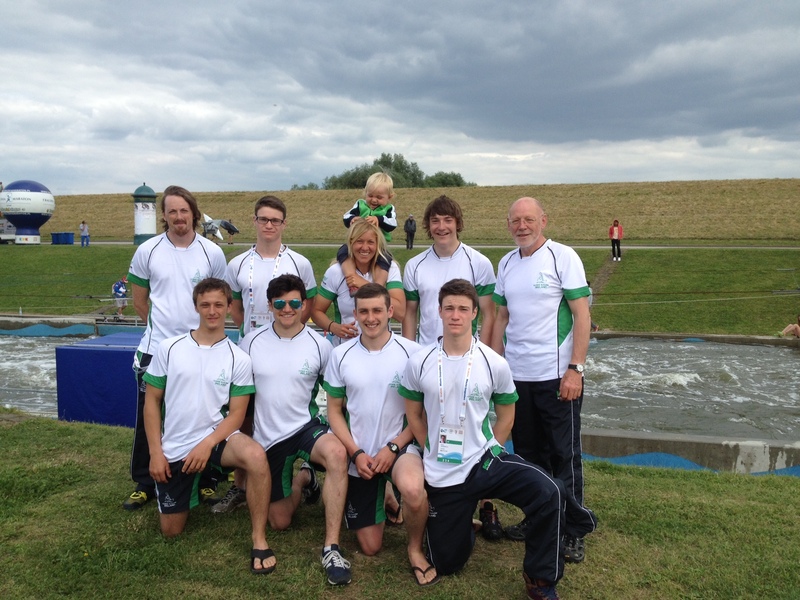 Good luck to all the Irish paddlers competing around Europe in the next few days, Senior Mens polo are in Mechelen, Belgium at the ECA cup, the Slalom paddlers are in Krakow, Poland at a world cup, the Wildwater paddlers are in Vienna Austria at the world championships, the Surf paddlers are in Galicia, Spain at the world championships and the Junior Sprinters are in Auronzo Di Cadore, Italy at an international regatta. World Cup no. 2 in Krakow is now underway…The Athletes have been training on the course to prepare for this weekends racing. Irish Water Safety have launched their water safety awareness campaign this week. 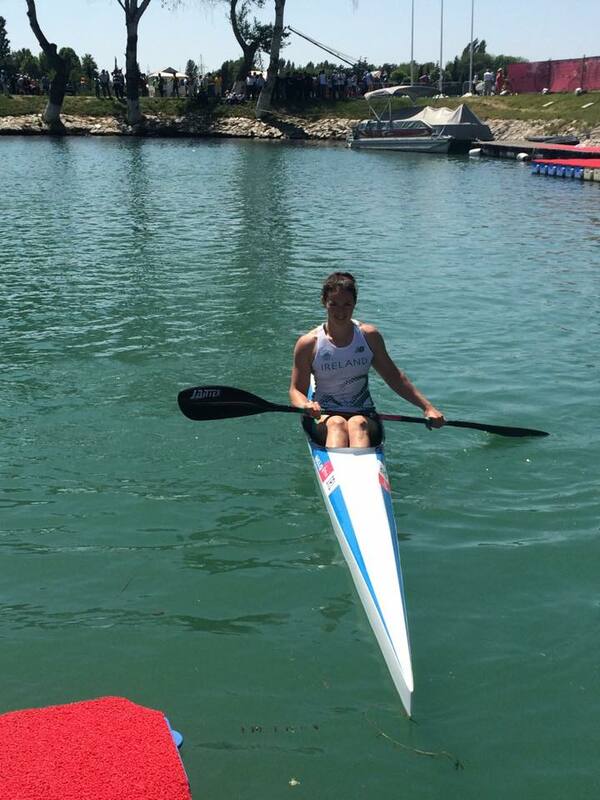 Congratulations to Canoeing Ireland’s Jenny Egan who finished 4th at the BAKU European games, Azjerbaijan today in the women’s K1 5000m race. Jenny continues to show her class in this event. It’s been all go this week on the canoeing front. Check out below for more information. Baku, Azerbaijan – 1st European Games. 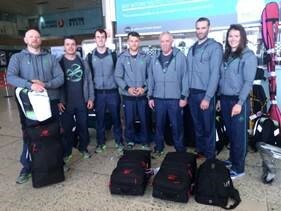 Our team flew out to Baku on Tuesday to acclimatise to their new surroundings before their events. Pictured from R-L: Dave Pringle – team coach, Andrezj Jerski – MC1200, Tom Brennan – MK1200, Simas Dobrovolskis – MK2 200 & 1000, Tom Egan – Team Manager, Peter Egan – MK2 200 & 1000 and last but not least, Jenny Egan – WK1 200 & 500. Pictured: The team getting in some Selfie training. 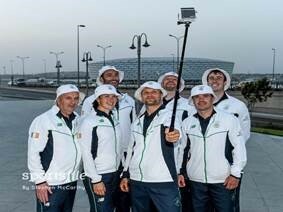 The team have moved from Baku to Mingachevir which is where they will host the Canoe Sprint competition during the Baku 2015 Games. The competition will run from the 14th –16th June. Over three exciting days, 350 athletes (205 men and 145 women) will take to the water and attempt to paddle their way to a gold medal. There will be twelve kayaking events (male and female) and three canoe events (male only). The Olympic distances for men are 200m and 1,000m, for women are 200m and 500m. The field of play at Mingachevir is a regatta course, measuring 1,000m in length with a race lane depth greater than 10m. For the Canoe Sprint competition, it will be presented with 9 lanes and with start lines at 200m, 500m, 1000m and 5000m meeting the ICF Canoe Sprint competition rules. GOOK LUCK FROM ALL AT CANOEING IRLELAND. We held another level 1 coaching course last weekend at the Canoeing Ireland training centre, strawberry beds. They were facilitated by Benny Cullen and Neil Fleming. The six paddlers are now well equipped to head out into the wilds of the kayaking community to share their coaching knowledge and skills on the lakes, rivers and seas of Ireland. All with the aim of inspiring and develop our community. We got some mid construction pictures from the Rio Canoe Slalom course. 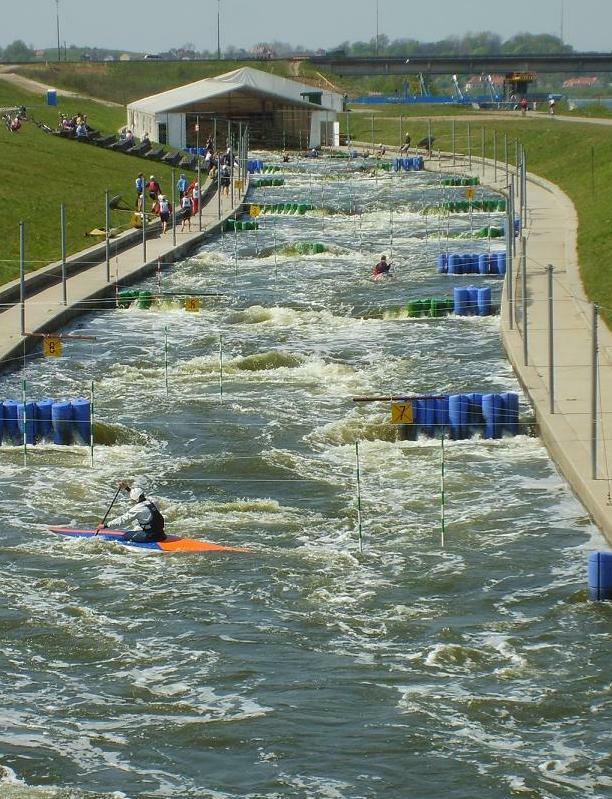 Our slalom athletes will be racing there this November at the Rio Test event. Check out the guys paddling around Ireland, lets hope the weather will stay good for them.Jon Hynes and & Sean Cahill have got it in into their heads that they need to kayak around Ireland….. 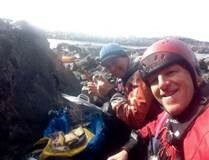 Both are lifelong kayakers and have shared many adventures in the past together but their round Ireland by sea kayak journey will be their toughest. This has been on the cards for a few years now which gave them plenty of time to work on their PR campaign. Check out their website and follow them on Facebook. If your feeling energetic then make sure you get up to the Erne this weekend for the Erne Marathon race. 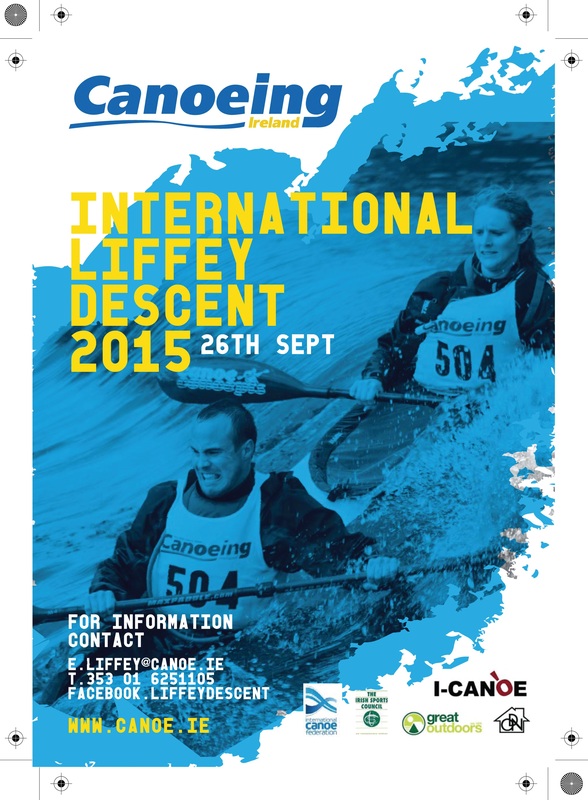 See the canoe marathon Ireland facebook page for more details. Now last but not least, Wednesday June 10th saw the first Canoeing Ireland corporate governance training session for the board. This was hosted by Carmichael House (www.carmichaelcentre.ie). The board members who attended got some great “takeaways” from the session and we don’t mean the pizza. Note: the names in the above drawing have been changed as a precaution ……..
Wetsuit revival project are looking to rehome some preloved kids wetsuits to deserving groups – if you can think of any, please send them to Wetsuit revival project way. They also have some adult wetsuits thanks to G’town Surf in Cork that either need new homes around there or to be transported to Galway. If you have any wetsuits you would like to rehome, please contact them on their facebook page.